The upcoming biography of an historical record and analysis of the life and ministry of Nykyta (Nicetas) Budka, the first Ukrainian Greek-Catholic bishop of Canada. It is not a popular biography nor a hagiography (lives of the saints). 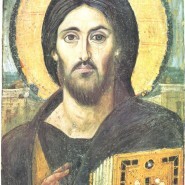 It is based largely on archival sources from the Vatican Secret Archives, The Central State Historical Archives of Ukraine in Lviv; the Archives of the Ukrainian State Security in Kyiv; the Archives of New State Records in Warsaw; the Archives of: the Congregation for the Oriental Churches; of the Archeparchy of Winnipeg; of the Eparchy of Edmonton and of the Archdiocese of St. Boniface, and the Archives of the Basilian Order of St. Josaphat in Rome. Details about his early years in Austrian Galicia (Western Ukraine). Accounts from his seminary years in Lviv and graduate studies in Innsbruck and Vienna. An in-depth analysis of the selection process of Greek-Catholic bishops in 1912. Details about other candidates for the Canadian mission. Budka’s ordination, journey to Canada and first accomplishments in his new charge. Financial and administrative challenges, the newspaper and student residences. Franco-Canadian missionaries, Ukrainian Basilians, Redemptorists and secular clergy. Challenges in maintaining the faith of his flock, religious proselytism. Religious conflict within the Ukrainian Canadian community. The Bishop’s activities during the First World War and its immediate aftermath. English translations of Budka’s official reports to the Apostolic See of Rome, & other correspondence. Details regarding the Bishop’s heath and resignation. Candidates to succeed him. 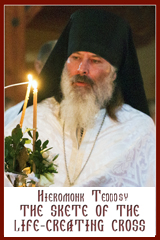 Returning to the Archeparchy of Lviv to assist Metropolitan Sheptytsky. Details concerning Budka’s Canadian citizenship status. Soviet persecution: surveillance, arrest, trail and sentencing. Prison camp and death. Nykyta Budka’s burial site. His political rehabitilation and religious glorification. Historical evaluation of Bishop Budka’s mission. A collection of photographs and samples of the bishop’s handwritten reports. Quotations from the source documents in their original languages (Latin, French, Italian, Ukrainian, Polish, German, English).